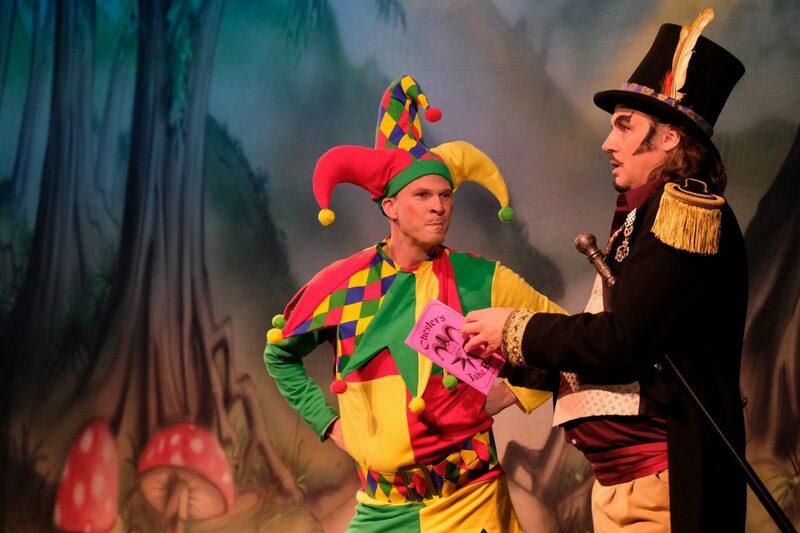 Mirror mirror on the wall who’s is the best north-east panto of them all? Well, that’s the question you’re all asking at the moment! 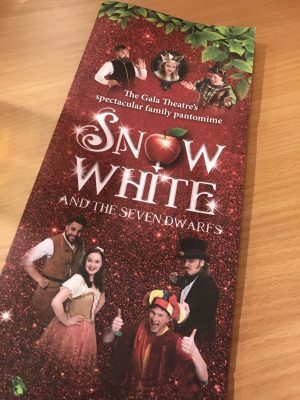 I was kindly invited along with to review Durham’s Gala theatre performance of Snow White and the seven dwarfs. I’d never been before to Durham’s Gala and was pleasantly surprised at how easy it was to find a car park pretty much underneath the venue! Which was perfect on a rainy Saturday evening. A cinema and theatre reside within the Gala. 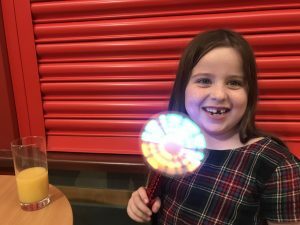 The theatre seating is comfortable and booster seats are available for the children, which was great for Willow. From our seats, we could see the live music being performed above us in the gallery. The show is full of north-east humour, spins on local places such as the town where the story is set being Fairy hill (Ferry-hill). 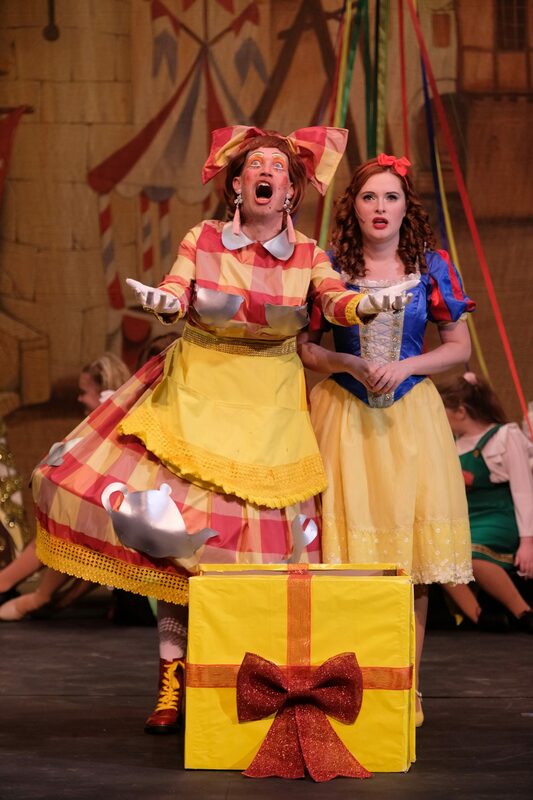 A clever rewrite of the classic Snow White with us all laughing from the get-go. I loved the use of the shadow theatre at the start where Miranda the mirror (Sarah Boulter) set’s the scene. It was clear from the start this was loosely based on the classic Snow White which if I’m honest I was really glad of, as you are then drawn into the story. It’s too easy to switch off a little when its something you know how it’s going to pan out. 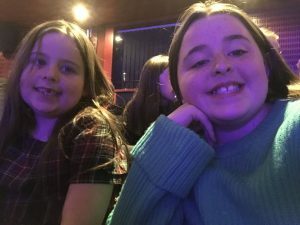 The show doesn’t take its self too seriously and nor should it, family fun is what this is all about, with its humour and interaction with the crowd by a highly entertaining and brilliant cast. From custard mines rupturing covering Dame Dolly Doodle to Rupert von Rottenchops as a dancing tree that just has all the audience in fits of laughter. Not forgetting the whistle scene with Chester the Jester. A unique take on the mirror on the wall, Miranda who comes to life and plays a part in rescuing Snow White with the most eye-catching of outfits. Then with dwarfs, whose name’s ranged from Radgy to Keith Simpson, who are miners not for diamonds but for custard, it was fantastic seeing the young children playing them, play the parts so well. There were so many scenes I want to tell you all about but I won’t just get along whilst you can and enjoy. It has everything you need in a pato with the baddie you get to boo, the ‘It’s behind you’ scenes and of course a little audience participation. The way the show is brought out into the audience several times really adds to the excitement of it all. The entire cast is fantastic and we left feeling thoroughly entertained! I would recommend this Panto to all ages it has something for everyone with the jokes, song variety and humour appropriate for all ages! Tickets are available here, ticket prices range from £6 – £17 (family ticket £50 – £58), groups 10+ £13 – £15, schools £7 – £9 and it is on from Thursday 22 November –Saturday 5 January.